Heavy police response near Lakemoor and Volo, Ill., late Wednesday night. 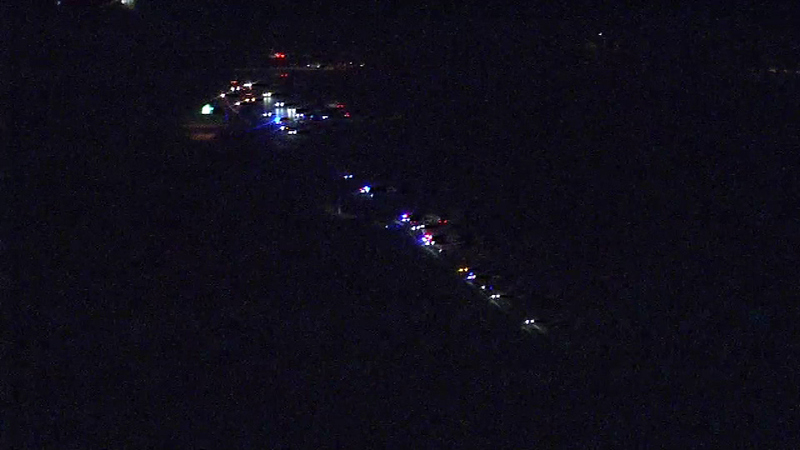 VOLO, Ill. (WLS) -- There was intense police activity near Volo and Lakemoor, Ill., south of Fox Lake, late Wednesday night. No one is in custody. Lake County Sheriff's Detective Cris Covelli says they could not initially connect this sighting with the shooting of Lt. Joe Gliniwicz in Fox Lake Tuesday. Det. Covelli says that around 9:30 p.m. Wednesday police received a report of two suspicious subjects in a cornfield on Route 12 south of Route 120 in Volo, Ill. Police responded and set up a perimeter, then began a systematic search that continues into the night. Officers are searching on foot with canine units through cornfields and swampy areas on the border of Volo and Lakemoor, and helicopters are searching from the air.